Come see what Dolomite Mountains has to offer… Beyond the Dolomites! Venice and Verona, Rome and Milan, Lake Garda, Sardinia, and more! Come see what Dolomite Mountains has to offer… Beyond the Dolomites! Did you know that we offer adventures beyond Italy's stellar Dolomite Mountains? You can extend your adventure by adding a few days in Northern or Southern Italy. Or, select a longer itinerary with multiple destinations. 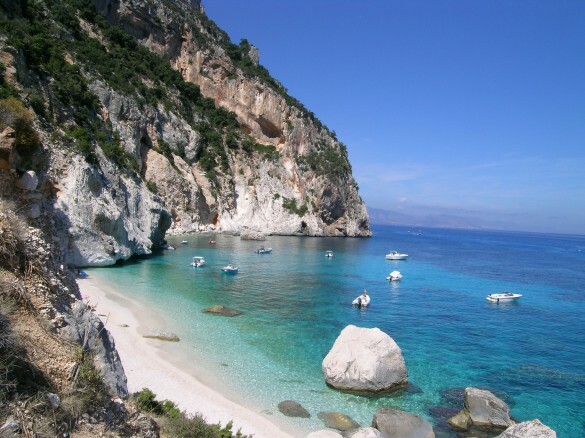 And, why not hop over to Sardinia, Italy’s largest island. We even offer horse riding trips in Argentina! Wherever you choose to travel with us, you’ll find the same level of local expertise and attention to detail that you’ve come to expect from Dolomite Mountains. Extend Your Adventure – Italy and its surroundings are brimming with opportunities for adventure… so why not add a few days to your trip and explore beyond the Dolomites? Our trip extensions range from one-day tours to multi-day trips. You might even feel like you’re on a second vacation! Lake Garda – Discover Italy’s largest and most beautiful – yet least well-known – lake. Intense blue waters and a diverse shoreline create endless holiday options. Choose from a series of enticing itineraries, where you can be active or luxuriate in thermal spa waters – or both! So come join us in the Dolomites… and BEYOND!